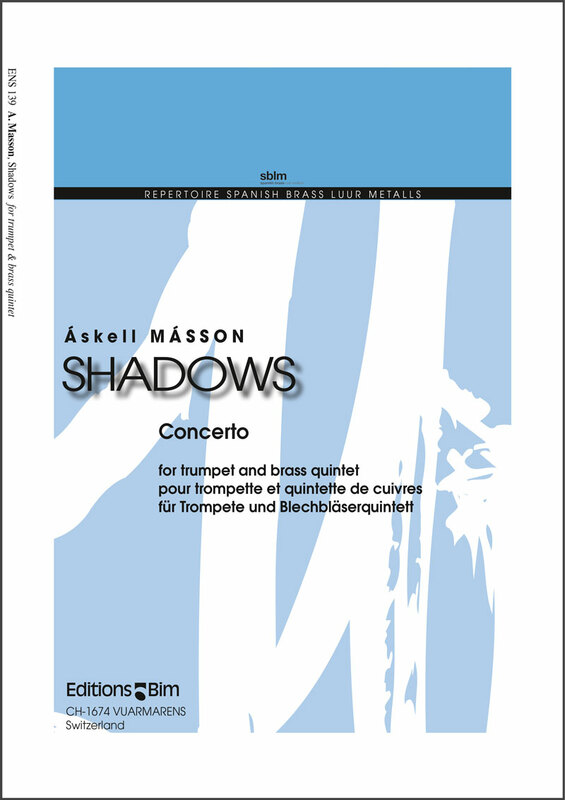 This work is about shadows, expressed in the form of musical images, of such things as colours, images from the past, and the interplay of shadows between the soloist and the ensemble as well as within the ensemble itself. The principal idea however, is to present the solo trumpet in an individual spotlight with all of the various and sundry shadows flickering around it. This piece was commissioned by the Spanish Brass Luur Metalls in 2003 for their concerts and a CD recording with soloist Ole Edvard Antonsen.